Pump alternative? How about natural gas? 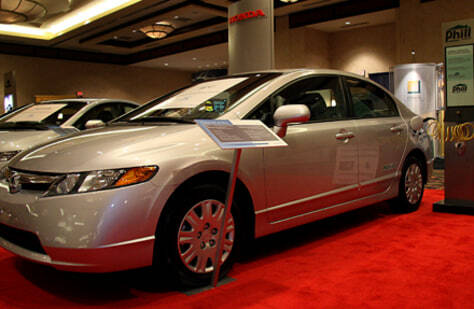 Honda sells a natural-gas powered Civic GX, but only in New York and California. The model is shown connected to a refueling station that Honda also sells for home use.